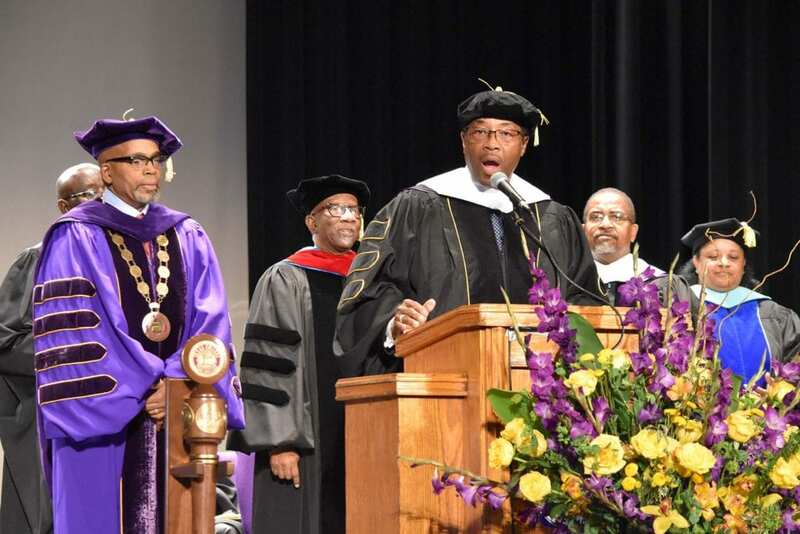 TYLER, Texas —”Surprised and honored” was how DeSoto resident Leon McCowan expressed his feelings after being awarded the Doctor of Humane Letters recently from Texas College. McCowan became affiliated with Texas College when he was appointed to the Board of Trustees in 1992 by the Dallas/Fort Worth Annual Conference of the Christian Methodist Episcopal (CME) Church. He has also served as Board Secretary for 22 years and is currently the chair of the Investment Committee. As a board member, in collaboration with other Trustees, he is empowered to appoint and evaluate the performance of the president, generate funds to help with the operational expenses, listen to and resolve problems of faculty/students, approve candidates for graduation and other duties dictated by the college bylaws. McCowan is also an instrumental participant of the Executive Committee, having served as Chair of the Budget Committee – responsible for the College’s endowment. Also during his tenure, Texas College has seen overall improvements in performance indicators and increased community, public and private support. 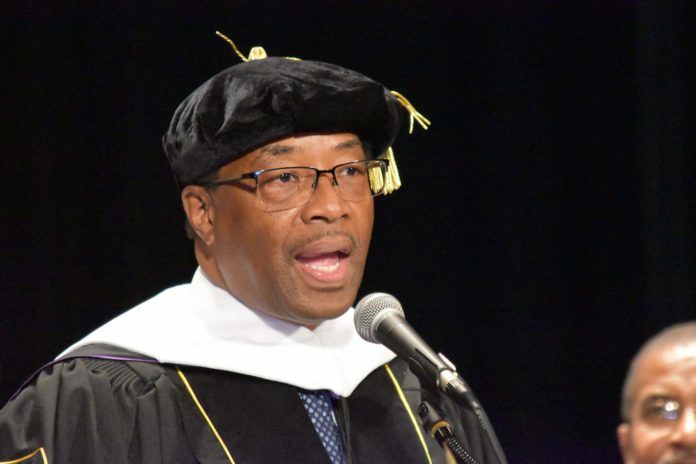 “One of my key contributions, as a Texas College Trustee, was securing the connection that resulted in grants awarded to Texas College by the Cain Foundation,” McCowan said. 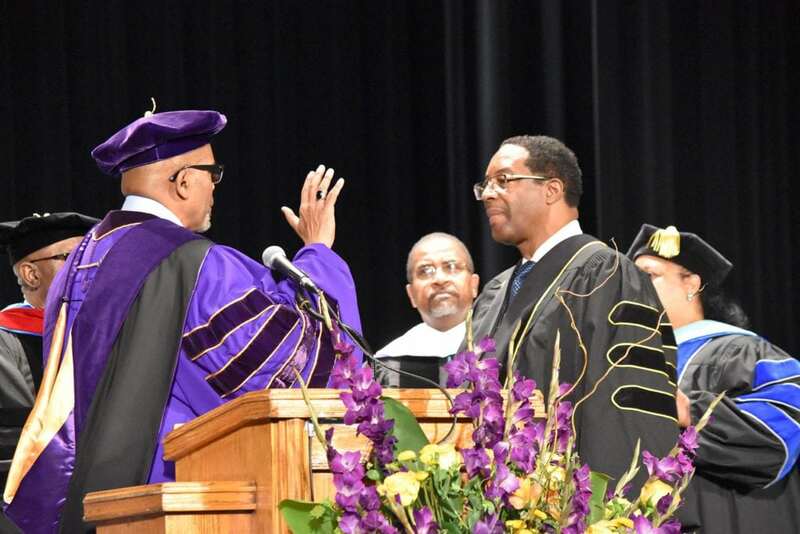 Texas College President Dwight Fennell bestows Doctor of Humane Letters degree upon Board of Trustee member Dr. Leon McCowan. The Board then affirmed the Honorary Degree to be conferred to him in early May during the 2017 Commencement. Texas College is a historically black college founded in 1894 by a group of Christian Methodist Episcopal (CME) Ministers. This higher education institution provided educational opportunities for disenfranchised individuals in Tyler and East Texas. The Doctor of Humane Letters is always conferred as an honorary degree. It is usually to those who have distinguished themselves in areas other than science, government, literature or religion. They are awarded degrees of Doctor of Science, Doctor of Laws, Doctor of Letters or Doctor of Divinity, respectively. Doctor of Humane Letters degrees should not be confused with earned academic degrees awarded on the basis of research such as Doctor of Philosophy or Doctor of Theology or earned professional doctorates such as Doctor of Medicine, Juris Doctor or Doctor of Ministry. Dr. Leon McCowan addresses 2017 Texas College graduates after receiving the Honorary Doctor of Humane Letters degree. McCowan is a retired federal executive with 45 years of service. From 1991 until his retirement, he served as Assistant Secretary’s representative at the Administration for Children and Families (ACF), U.S. Department of Health and Human Services, Region VI, Dallas, Texas. In 1996, he was inducted into the prestigious Senior Executive Service (SES). McCowan received his B.A. in Sociology from Wiley College and M.A. in Public Administration from the University of North Texas. During his career, McCowan has also been recognized with numerous awards for his leadership and his service to the community. This includes “Outstanding Agency Administrator” by the Dallas/Fort Worth Federal Executive Board; the U.S. “Presidential Rank Award” for Meritorious Executives; Secretary’s Award for outstanding performance of Y2K activities; honored twice by The North Texas Chapter of Blacks in Government with a “Career Achievement Award;” “Manager of the Year” by the National Treasury Employees Union; Member of the International Who’s Who of Professionals; Kirkwood Temple CME Church 2nd Annual Visionary Award; The Rotary Foundation of Rotary International Paul Harris Fellow; Concerned DeSoto Citizens’ Outstanding Leadership Award and the South Dallas Business and Professional Women’s Club Trailblazer Award. McCowan is married to the Honorable Curtistene S McCowan and they have two married sons and three granddaughters.